I’m going to start making Christmas cookies in a few days, but for now I want to share this recipe for easy chocolate chip cookies. These are the cookies I make when the Young Son comes downstairs at 9:00 pm and says, “Mommy, will you please make me some cookies?” Of course, he knows he will get whatever he wants when he calls me Mommy. These are cake-mix cookies, which means there’s no measuring of flour or sugar. 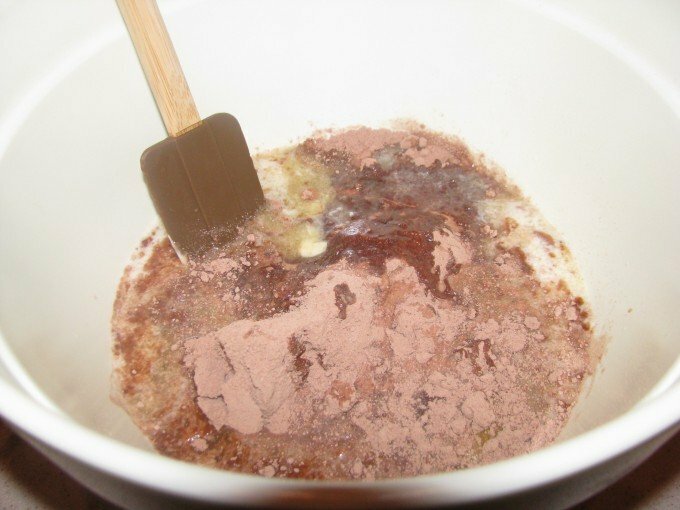 You just dump the cake mix in a large bowl and add an egg, water, vanilla and a stick of melted butter. 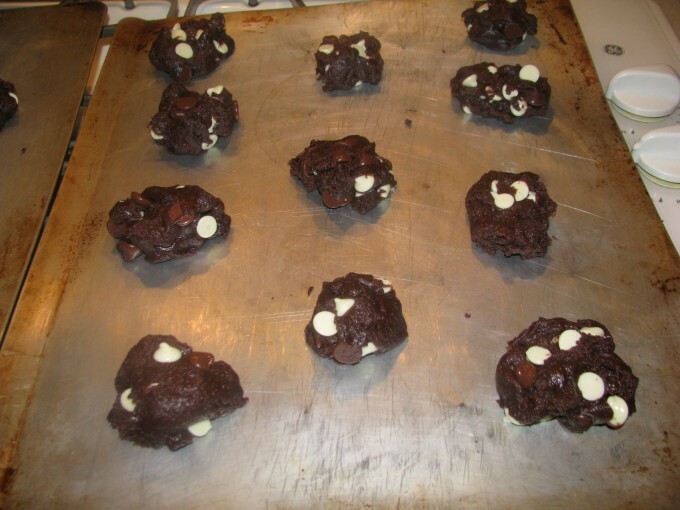 Use a hand mixer to blend it very well and then stir in a cup of chocolate chips. The dough will be stiff and thick and you will think there’s no way good cookies are going to come from this dough. And you will be wrong. I make them pretty big so I only use two cookie sheets and make a little less than two dozen. Now, I’ll be honest. These are not going to become your favorite cookies. They won’t replace your go-to chocolate chip cookie recipe for when you have plenty of time and you want to drag out the flour and sugar and create a heavenly concoction. 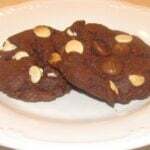 But when you need a quick chocolate fix or an easy dessert to take somewhere, these cookies are the perfect solution. 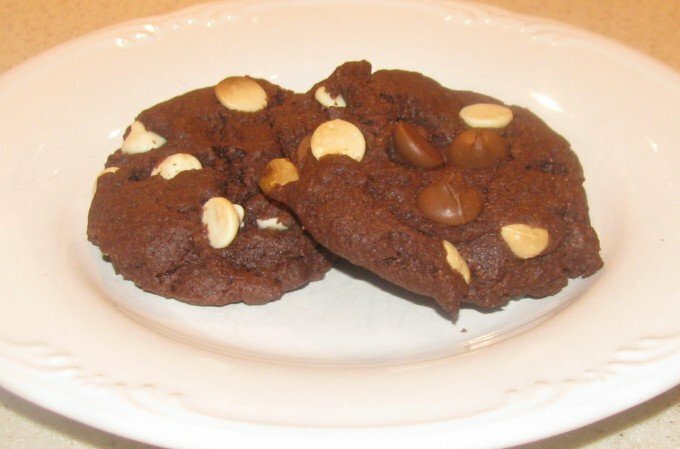 They are chocolatey and they are a cinch to make. Clean up is easy–everything goes in one bowl. But here’s the most important reason you will make these cookies again and again: when your Young Son goes off to college he will remember that his mommy made him chocolate chip cookies late at night. And he won’t care that they started from a box. He’ll just wish he had some. Quick chocolate chip cookies that you can throw together in about 10 minutes, using a boxed cake mix. Delicious! In large bowl, dump cake mix and add egg, water and melted butter. Use hand mixer to blend well, and then stir in chocolate chips. Dough will be stiff and thick, so make sure all the dry cake mix has been incorporated into the dough. Scoop dough by heaping tablespoons onto ungreased cookie sheet and bake for 13 minutes.